When planning your wedding, it is so important to find professionals who share your wedding vision and with whom you feel confident and relaxed. We review Australia's leading bridal exhibitions, celebrants, stationers, florists, photographers, videographers and transport specialists. 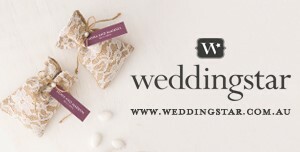 Here you will find the ideal wedding planning professionals for your special day. Belle’s and Beau’s provide stunning vintage Mustangs and a personalised wedding transport experience. They also do romantic surprises and winery tours! From unique bridal bouquets to striking centrepieces and hanging arrangements, Flowers on the Mill will take care of all your wedding flowers! Esh Photography had been photographing weddings and couples in Canberra and the surrounding regions, nationwide and across the globe for over 15 years. We love nothing more than spending our days capturing memories for you that will last a lifetime. The Evoke Company take an unobtrusive approach, and document the real moments, emotions and feelings, as they unfold. From personalised glassware and bottle stoppers to quirky gifts such as mini gumball machines, playing cards and keyrings, Weddingstar has a bomboniere for any wedding theme! Wedding Photography company, Shutter and Lace love capturing weddings all over Australia and creating beautiful images using natural light and lots of imagination! Belinda Monck’s wedding photography is filled with love, joy and excitement as she strives to capture all those magical moments you will want to remember forever! You have found that special someone you wish to spend the rest of your life with. You have set the date, found the perfect venue and want to create the look you have envisioned for your special day. Why Classic Jags wedding cars? We’re voted the best, why choose less? We are ABIA voted number one in wedding transport. Winners for the last three years, we would like to thank all of our bridal couples who voted for us. Canberra Hummer Hire will give you a unique transportation experience, so arrive in style to your venue in this gorgeous limo! Every wedding video by Big Bear Films is a beautiful blend of natural, artistic shots and raw emotion of your big day. Need a transport specialist for your wedding in Canberra? Arrive in style in one of the stylish wedding cars from Valley Limousines! Located in Sydney, AP Photography specialises in beautiful, candid wedding photography that truly captures the magic of your special day. Red Photography offers the perfect balance between fashion and wedding photography and makes stunning bespoke wedding albums. With over 20 years of experience in wedding photography, Canberra photographer, A Shot Above The Rest delivers images that are professional, unique and extraordinarily beautiful. Wedding planning has never been easier because you can organise your whole event with just one visit to My Bridal Centre in Brisbane! 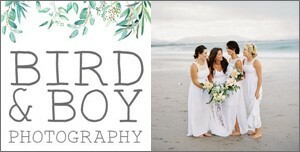 Niki D Photography is an award-winning wedding photographer specialising in capturing beautiful weddings in Brisbane, Sunshine Coast and the Gold Coast. Keepsake Photo by Keeffes are based in Canberra and specialise in beautiful wedding photography, engagement photo shoots and family portraits. If you want a renowned florist who will take care of all your flower needs for the big day, style the event and make the best wedding cake adorned with lush blooms, look no further than Flowers for Everyone! Clementine Posy take pride in making sure your wedding flowers are fresh, beautiful and custom-made especially for you! At Magnolia Florist, they are passionate about wedding flowers and they create the most beautiful bouquets, centrepieces, buttonholes and floral wreaths. Nikki Harris specialises in creating authentic, timeless photography that looks spectacular without over-the-top filters and posing, with a natural and authentic approach to capturing your wedding day. Angela's Florist is a beautiful florist in Kogarah offering an impressive selection of gorgeous, fresh wedding flowers for your special day! With their fresh, candid approach to wedding photography, Essence is one of the most unique and most loved photo studios in Sydney. Leisure Coast Limousine offer a unique range of vintage wedding cars including Daimler, Jaguar and Ford vehicles. Beck Rocchi is a fun wedding photographer who captures real moments and encourages you to be your best self on your big day! Treat yourself with a fabulous wedding car, sit back and enjoy the ride because CJ Limousine Service will take care of the rest! From opulent ceremony arches and floral installations to beautiful bouquets and centrepieces, Jetty Flowers can make anything you imagine using the freshest, seasonal blooms! Melbourne's leading florist offers a range of services from providing beautiful wedding flowers to making delicious and lovingly designed wedding cakes. Using only the freshest, most beautiful blooms, French Lavender Weddings can create truly breath-taking floral arrangements for your big day!